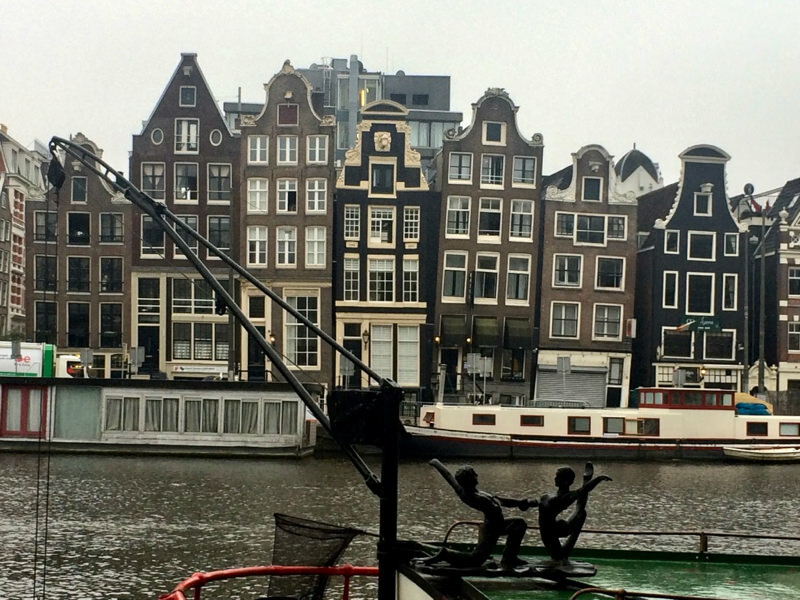 6/6 | Wednesday Day trip to The Hague to see the amazing artworks at the Mauritshuis. 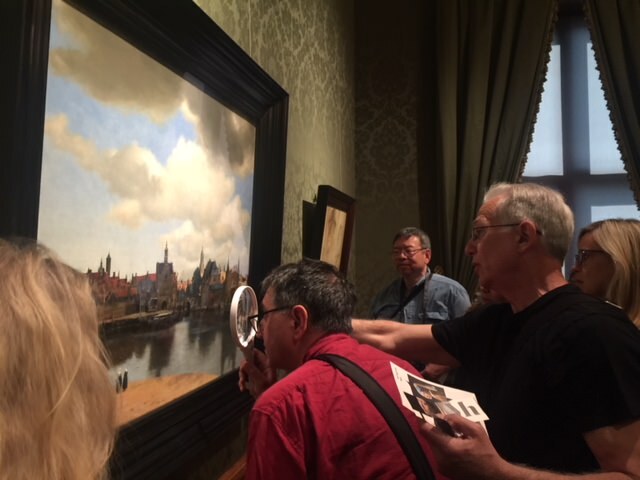 This museum features such stunning paintings as Vermeer’s View of Delft and Girl with a Pearl Earring, Fabritius’s The Goldfinch, and Rembrandt’s The Anatomy Lesson of Dr Nicolaes Tulp. 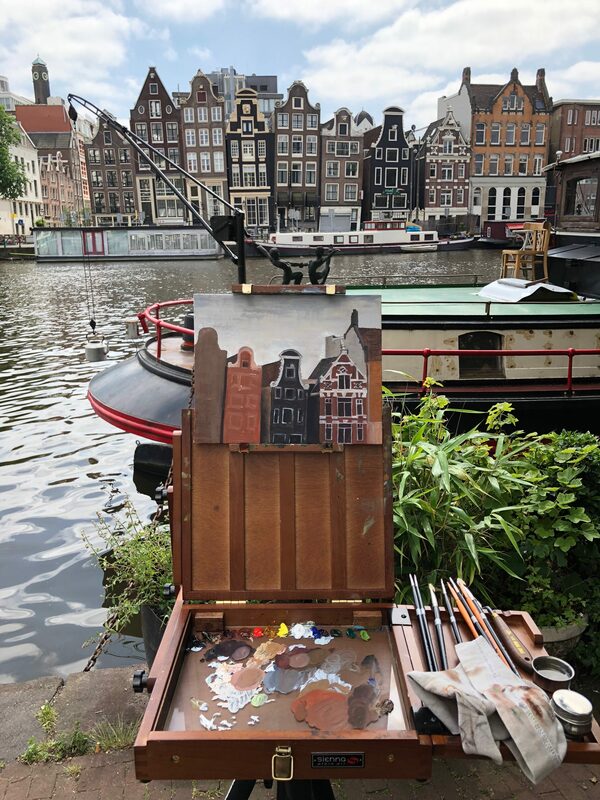 6/5 | Tuesday Second day of drawing and painting all day along the Amstel River. 6/4 | Monday Rick Brosen gave a first-day orientation about approaches and materials. Great tips on working outdoors! 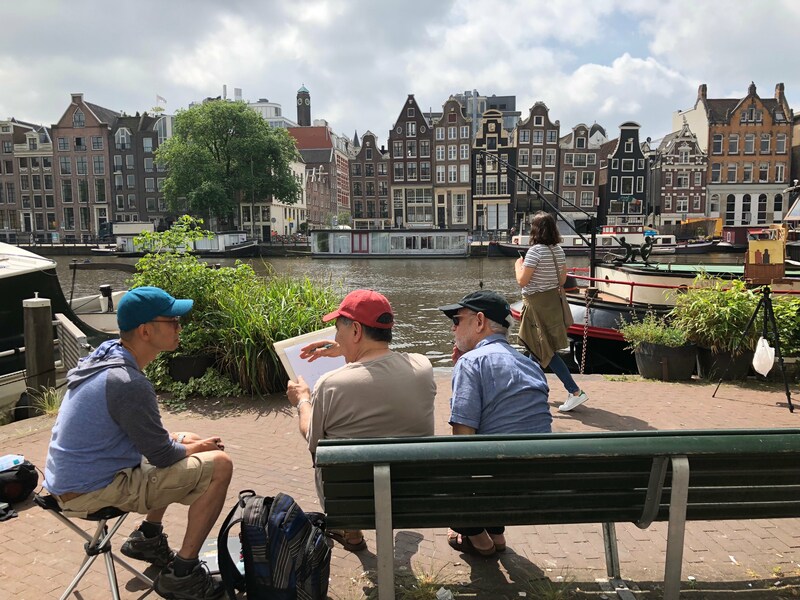 Drew and painted all day along the Amstel River. 6/3 | Sunday Our workshop participants started to trickle in. 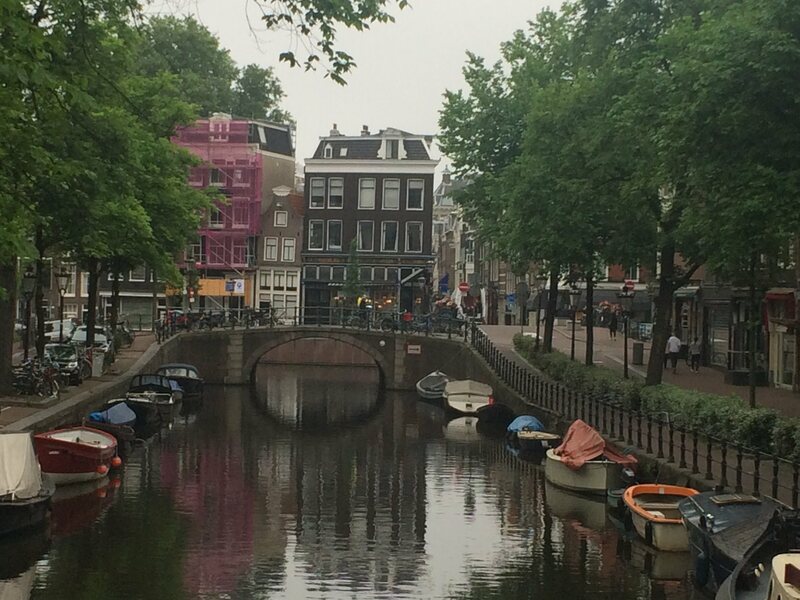 Rick and I went to Vondelpark (the Netherlands’ largest park) to select painting locales. Met and greeted the workshop participants at our hotel. 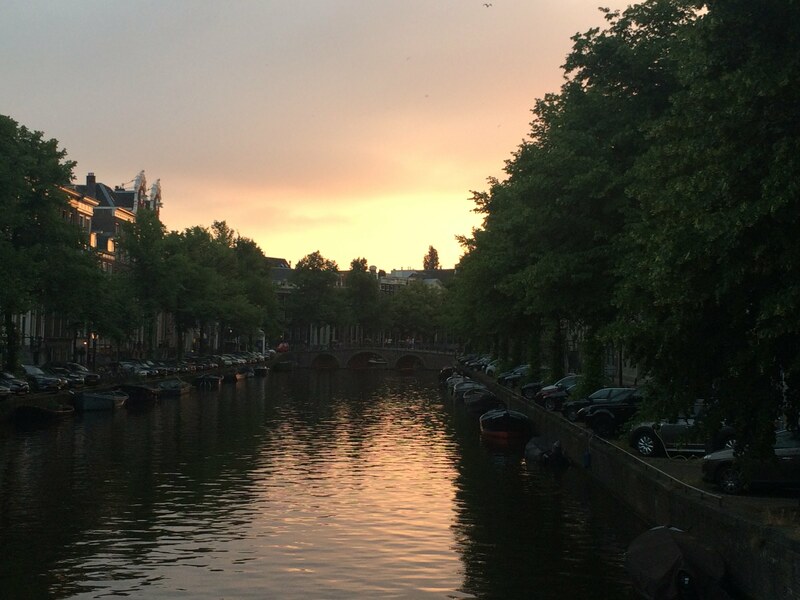 Had a first night meal at Restaurant Haesje Claes for a classic Dutch dinner.